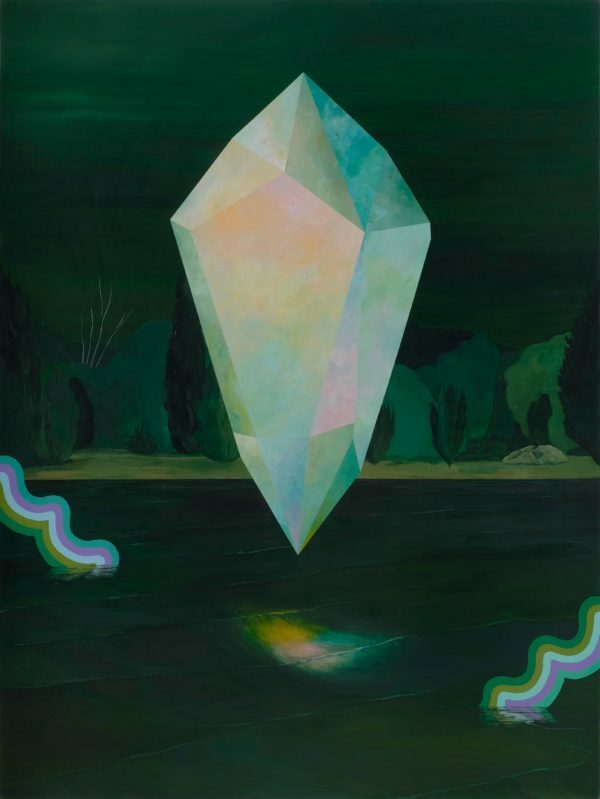 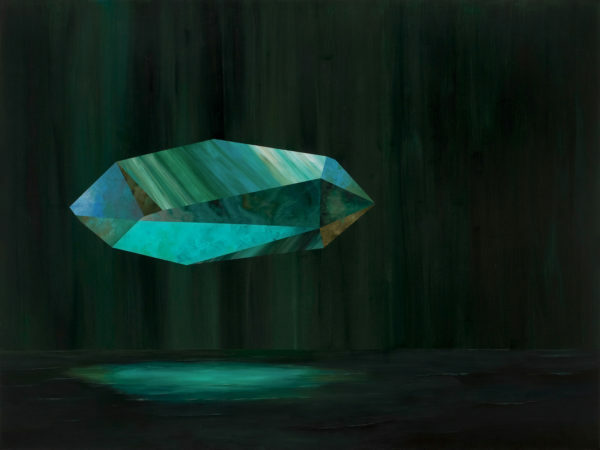 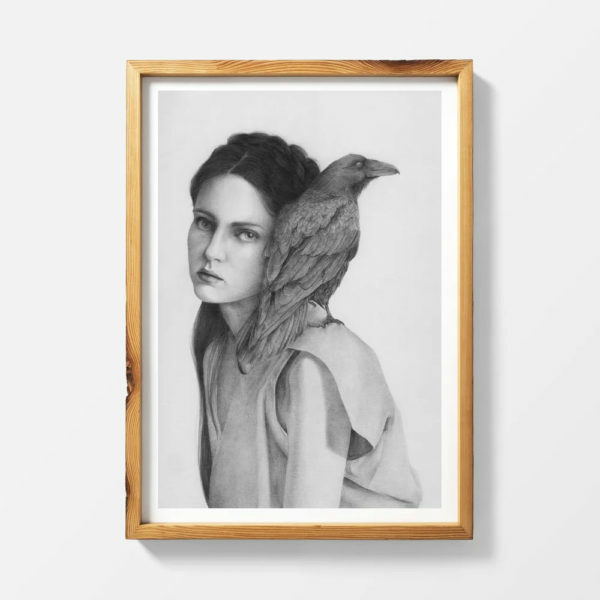 The surreal paintings in Rebecca Chaperon’s latest series, “Incandescence” (2019), mirror the psychic balance between light and dark. 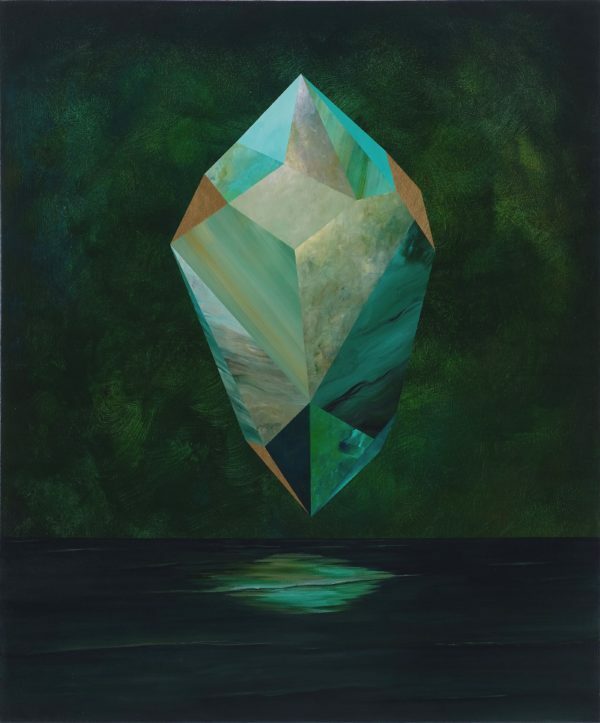 Only in the darkness can we see things glow and show their truly luminous spirit. 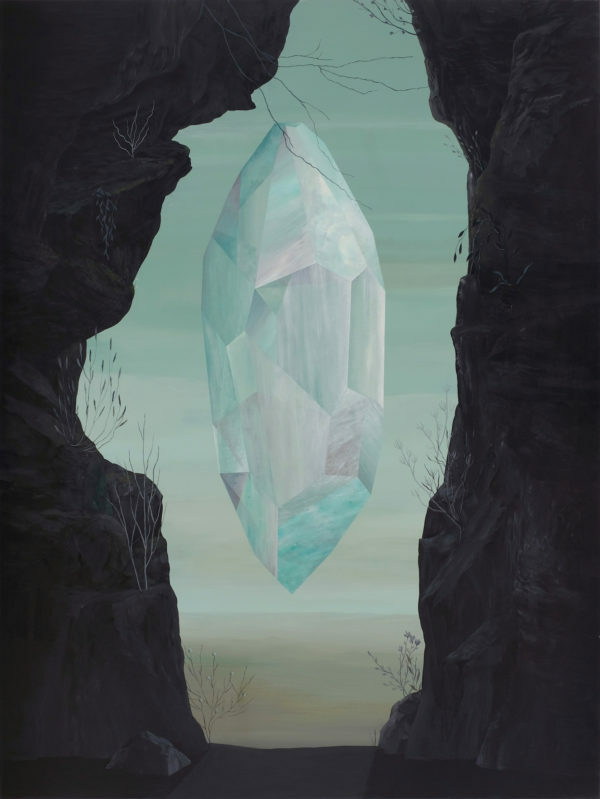 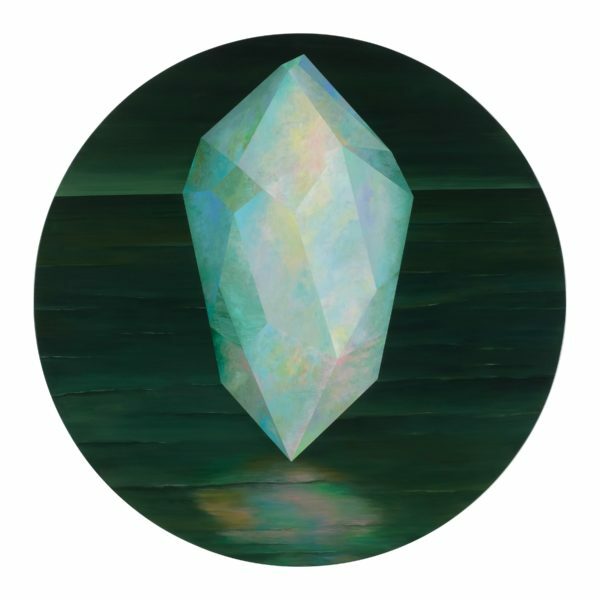 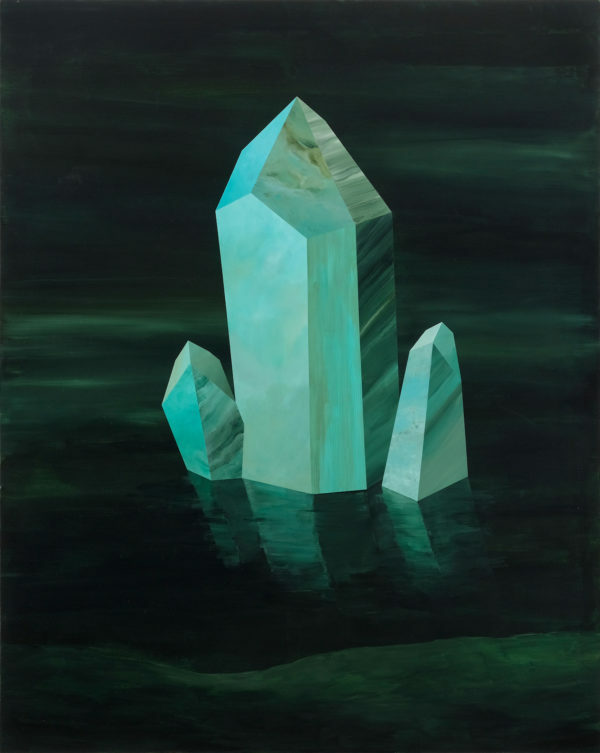 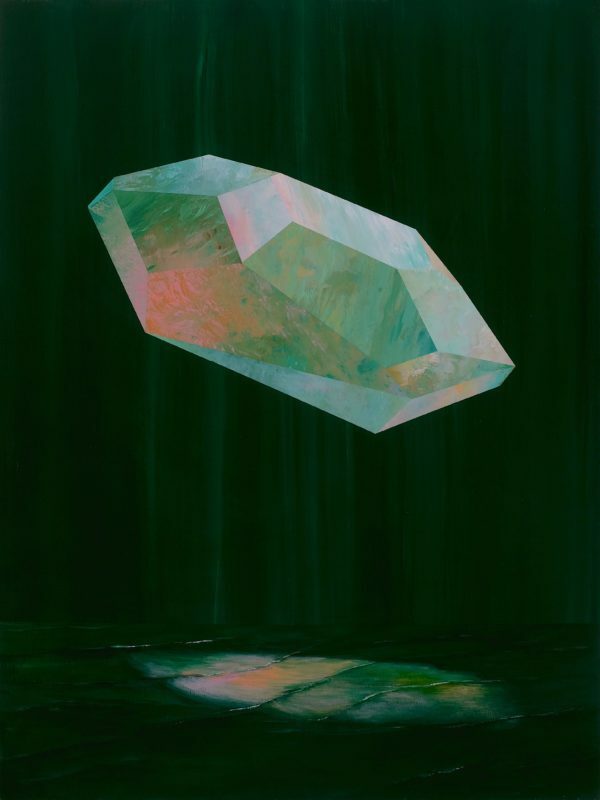 The crystal forms in these paintings are buoyant, defying gravity, and then sometimes appear temporarily enthralled with their own reflections. 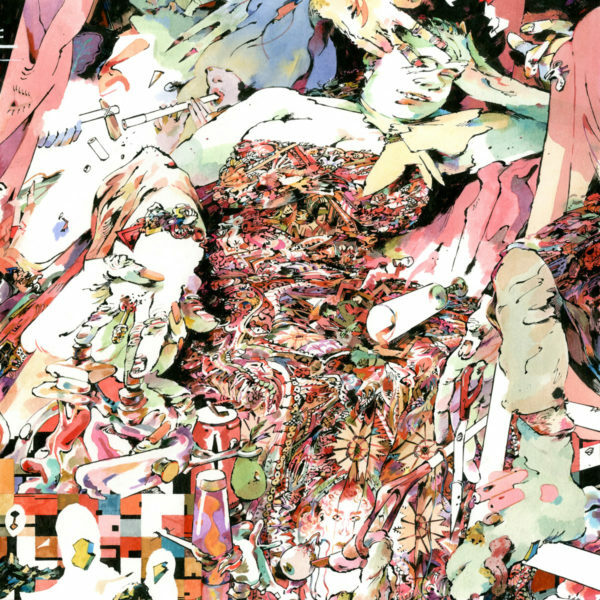 There is a transcendental and transcending quality here. 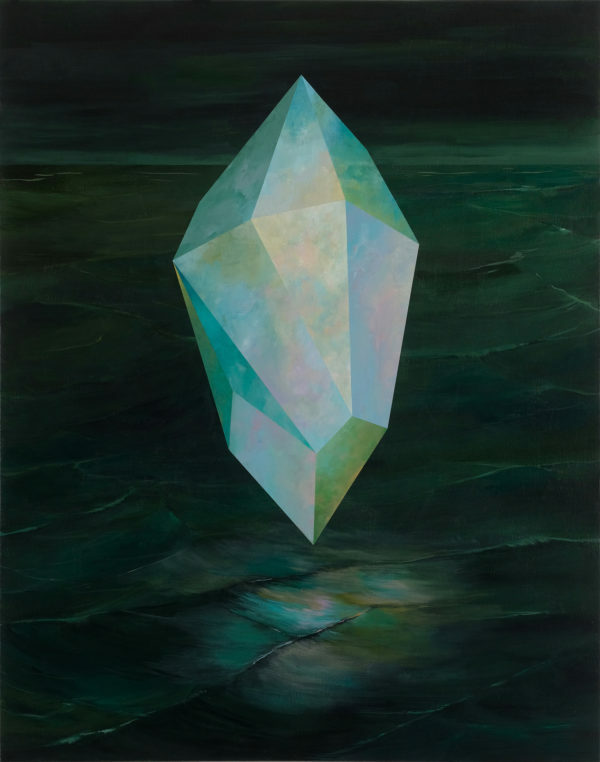 Suspended in time and space, these icebergs and crystalline bodies are alive with light, incandescent nomads afloat in slow movement or temporarily caught in harmonic balance.